Is it only me collecting home depot receipts and then struggling to enter them to QuickBooks? I am sorry that I do not have an answer to your question; I have forwarded it on to my manager for some assistance. I am just wondering; are the receipts for a business or home? Pro Extra Accounts at the Home Depot keep a record of all transactions; you can also access all sales on line. I hope this helps, stop by the Pro Desk next time you are in your Home Depot. Ask about all the benefits for becoming a Pro Extra Customer; there truly are so many extra advantages! Hello Bush and welcome to the Community. It that time of year that we receive many questions of this nature. So, I would like to direct you to this PREVIOUS POST, that deals with organizing your Home Depot receipts and managing your accounting. If you register your credit card in Home Depot Pro-Xtra program it will automatically down load your receipt with every use of your card at Home Depot. HI Bush, This image might explain the Greenback software better. 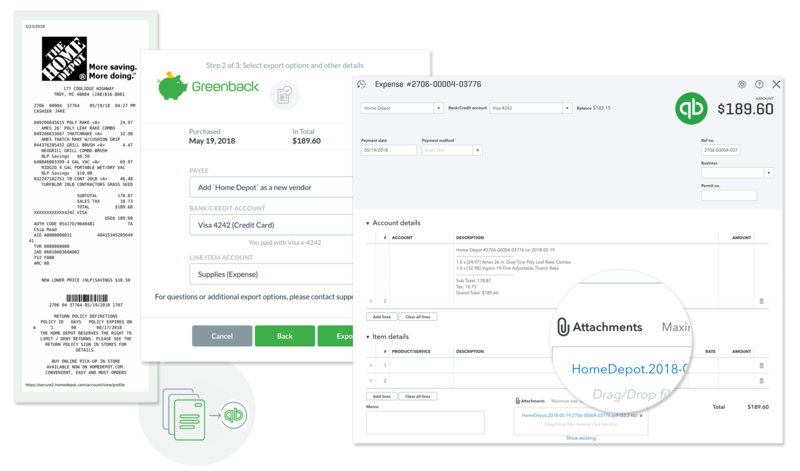 All the detailed data from your Home Depot receipts is imported automatically so it is much easier to see what you purchased and saves a lot of time getting your expenses into QuickBooks. The receipt and details are all there. Hi Bush, I hear you. I was struggling the same for the longest time. I found a great app that does all the heavy lifting for me. 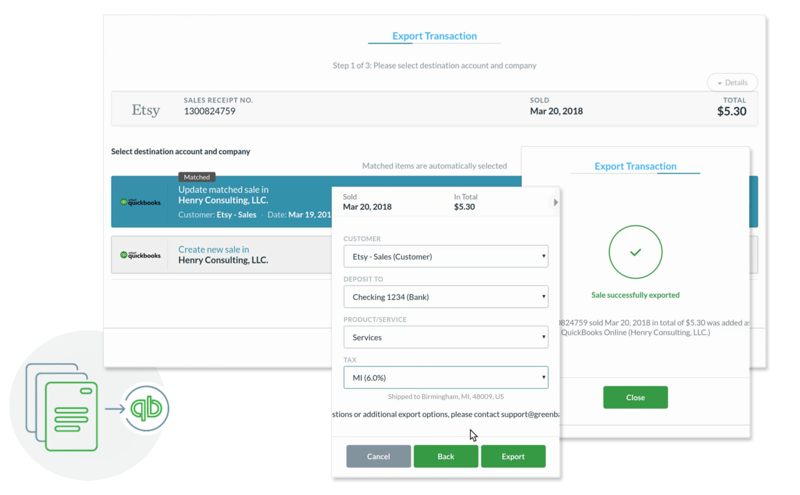 As The Home Depot pro member now I can export all my purchase data/statements to my Quickbooks in just a few minutes and that process used to take me hours of manually entering each receipt information and then going back to search for my own entry mistakes. Hope it helps, it did the magic trick for me.